Levesque has spent the better part of the past 43 years at Niagara, as a lecturer, dean of the College of Arts & Sciences, chairman of the board of trustees, and president. Prior to his start, Levesque had little knowledge of Niagara. 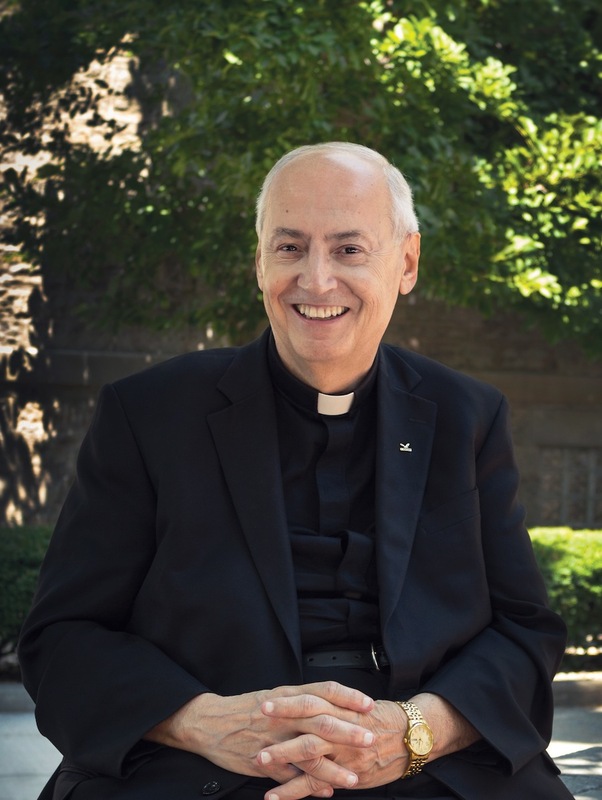 "I was teaching in Brooklyn, then I went to a small seminary in Princeton for one year, then they (the Vincentian community) asked me to come here so it was an appointment," Levesque said. "I had heard of Niagara University. I had been here once on a visit. We were doing a gathering of our community and we lived here on campus in the dorms. We did our business and that was it." Although Levesque took short appointments away from Niagara at different points, he always returned as he grew to love the school and the community. His positions in the university allowed him to get to know the people, the area, and the philosophy behind Niagara. Levesque exudes a love of Niagara and the Niagara Falls community. He has dedicated himself to trying to help in the community as much as he can. "Niagara Falls has become very poor. When I came in '70, I would drive down Main Street and every store was open, filled with people, sidewalks filled with people," Levesque said. "It would take a long time to get down Main Street because cars would stop, people would walk over from the sidewalk to say 'Hi' at your window. The community was alive and vibrant and just loving who they were and where they were." "I have committed myself and the university to being involved in the community as much as possible. Wherever we can help or the students can help, we do." Levesque and Niagara University remain committed to returning Niagara Falls to its prior glory. This is something he will continue to do after he steps down as president. He cites the donation by B. Thomas Golisano for the Golisano Science Center as an example of the importance of Niagara in the community. Golisano had no prior ties to Niagara University, yet felt compelled enough by the university to make a very generous donation for the construction of the new science center. "This is a great institution that turns out wonderful graduates," Golisano said when the announcement was made in 2008. When asked to choose a favorite part about Niagara, Levesque is unable to select just one or two aspects. "I like to describe it as small, our max number has been 4,000," Levesque said. "But there was a day back when I came in 1970 that we were closer to 2,800, so we grew as we developed. What is good about a small school is that the students know each other well, students know the faculty well, administrators can get to know faculty, and that is what I really liked about it." "It's a beautiful campus, so I've tried to improve the look of the campus, so we brought in more trees and flowers and started renovating buildings," Levesque continued. Levesque cites community involvement as what he would like his legacy to be. "I think my legacy is that I saw the goodness of Niagara and all the great qualities that we have and made sure we weren't the 'ivory tower'," Levesque said. "That's not what universities are all about. I've tried to focus on this community and the revitalization of Niagara Falls." Brenna Pierson, graduating senior at Niagara, cited the personal involvement Father Levesque had with students as the greatest of the lasting memories that she will have of him. When looking to the future, Levesque has just a small piece of advice for new president, the Rev. James J. Maher, C.M. "I would say continue the great traditions we have." Levesque said. "This is who we are, and we have our weaknesses, but I would like you to continue those strengths. Every new president has something that he or she wants to do. It doesn't pop out from the dust. Usually they sit with the university community, those who wish to come to see him and the question he will ask is 'What do you want me to put my emphasis to make the university better?' He is going to listen, some of those will hit his heart, and he will commit to those." If Levesque had to guess, Maher will first focus on student life, but stresses that it will take time before Maher will want to make changes. Levesque will remain at Niagara even after retiring as president, although in what capacity is yet to be determined. He says that he wants to help in any way Maher sees fit, but if he had to choose, Levesque would love to travel around the country to connect with alumni and be able to speak with them about their ideas for the university, as well as to cultivate the relationships between the alumni and the university. Overall, Levesque said "I would like to stay at Niagara for however many years, I hope forever and do all sorts of things."